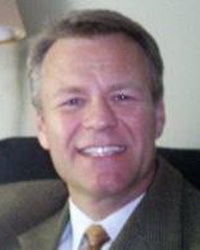 Joe Manuszak is the Vice President of Global Development at Harris Research, Inc., a division of Baird Capital, Inc. He oversees the global development of both Chem-Dry and N-Hance. Mr. Manuszak’s franchise development and management experience proves success in new market penetration, turnaround operations, start-up and franchise management. He has focused the majority of his career on international franchising and master/area development licensing business models, via experience in Australia, Asia, Europe, the Americas and Africa. He currently manages over 1,500 franchise locations in 56+ countries. Joe led the early development of Domino’s Pizza International in both Australia & Europe, but also proves franchise operations tenure with Church’s Chicken and YUM Brands in the U.S. and Africa. A proud father of two, he also published a book on relationships and marriage.